Alicia Froelicher's home for art, concepts and sketches. Nusa is Manie's love interest as appeared on the preview with Manie himself. 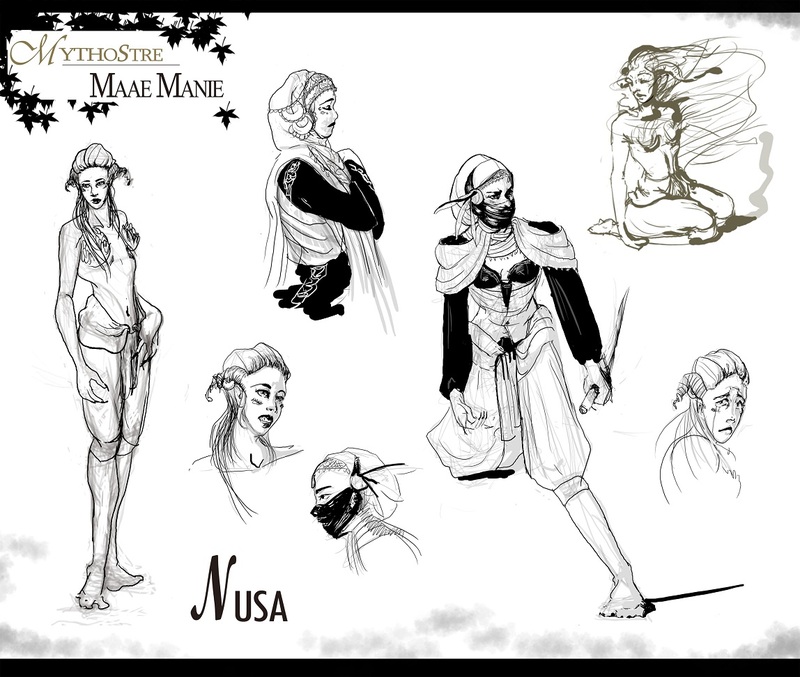 Nusa is a major character, but is not seen until main character Manie is older. Nusa is an 'untouchable' due to her distorted features and outcast-ed upon 'forgotten' hill. Her job is to help Manie is his quests. After Manie and Nusa's story arc, humanity places 'Nusa' as the word for light, and 'Manie' as the world for love/gift. I am currently at the school of Academy of Art University of SF getting a degree in Illustration. I am a digital artist and I am looking for jobs in illustration and concept art.